A baby has died after being forgotten in a car for five hours – the second such incident in as many days and the third in only two weeks. Magen David Adom (MDA) emergency service was summoned Monday afternoon to the Jewish community of Dolev after an 18-month-old girl was found left in a vehicle in the summer heat by a passerby at about 1:15 p.m. The community is located in the hills of the Binyamin region, near Jerusalem. The toddler was in critical condition, according to the intensive care paramedic team that worked to try to resuscitate her. She was rushed to the Chaim Sheba Medical Center at the Tel Hashomer Hospital in Tel Aviv. Sadly, her condition was fatal and she passed away soon afterwards. 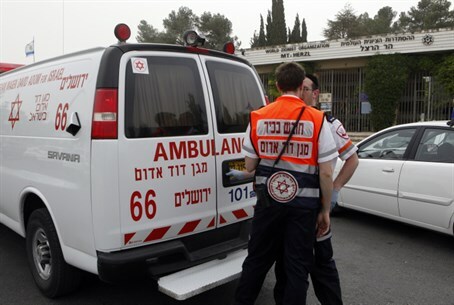 The incident comes less than a day after a five-month-old infant died after she was forgotten in a vehicle in the village of Shilo, also in the Binyamin Region. The baby died after having been left in the vehicle for nearly seven hours and was found with severe burns. A similar incident occurred earlier this month when a nine-month-old baby was found unconscious after having been left for several hours in a vehicle in Ramat Gan. Although MDA paramedics performed CPR on the baby as they rushed her to Sheba Medical Center, she was pronounced dead on arrival.